When it comes to shipping fine art, it is very important to select the right service provider for this job. The company should be able not only to pick up and deliver the precious cargo but also to build a custom crate for each transported item. At Fine Art Shippers, we are proud to provide a full range of art logistics services in the New York metropolitan area! From art packing and crating to bespoke courier delivery and art installation, we take care of every step of the transportation process! However, what if you are based in Boston, MA? Most likely, you want a local art logistics company to ship your collection. In such a case, we can recommend Wren Art Transport. This reliable Boston-based art shipper can build a custom crate for any artwork and deliver your treasures to any destination safely and securely. Wren Art Transport is a fully insured and bonded fine art shipping company established in 2003. Possessing a combined 35 years of expertise in the art logistics field, it is currently one of the best service providers in the region, offering an extensive range of art transportation solutions for any need. Plus, in addition to shipping valuable items, Wren Art Transport also provides its clients with art installation and art storage services of the highest quality, not to mention that the company’s team can manufacture a custom crate for absolutely any object, no matter its size and shape. 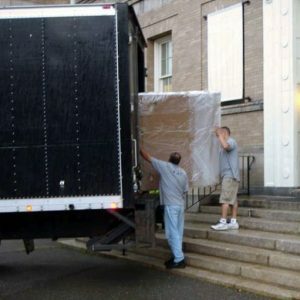 Wren Art Transport is indeed a great choice for any art logistics needs in Boston!